At a very young age I can remember my gradeschool peers and I eagerly awaiting the chance to go up and write on the brand new Smartboards. In my senior year of high school my English teacher rolled a cart into the room with laptops for researching our essays. Unlike you or I, your high schooler today may not remember the awful, Star Wars-esque sound of internet dial-up or waiting for the VCR tape to rewind. Today, entire college DEGREES are offered online. The majority of college students don’t take their quizzes or exams in person. Homework is submitted, for the most part, digitally. Chalkboards are going extinct, and as teachers move to further integrate technology into the high school classroom, it’s important that your student obtains some level of proficiency in the internet and digital citizenship. Time to learn about technology in the high school classroom, and the 7 ways you can prepare your student! The Digital Citizenship Institute breaks it down into 9 elements. College admissions officers today admit to checking student’s social media profiles. Your student’s online identity can actually affect their college admissions chances. Teaching Digital Citizenship is a free, 1-hour program that gives you the skills needed to teach your high schooler about being a digital citizen. Student-Tutor has a list of the top 10 college resources for high school students, but past college planning, your student can use several other apps and websites to stay on top of their schoolwork. 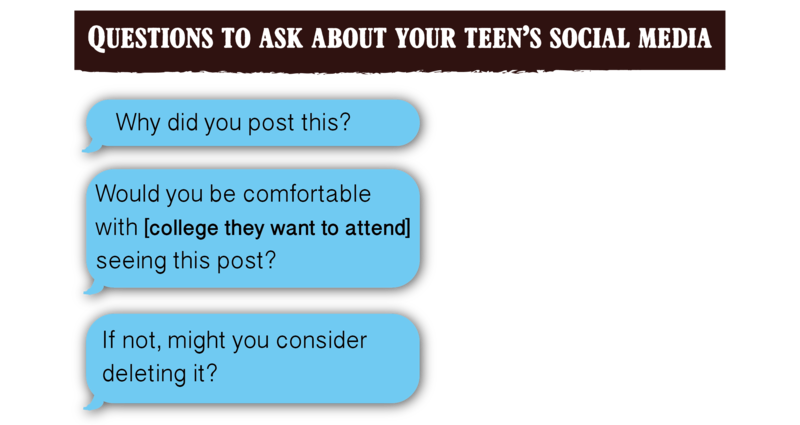 If your student doesn’t want you to see what they posted, they probably shouldn’t be posting it. Unfortunately, your teen may be taking their “internet privacy” for granted. If your student isn’t letting you see their online profiles, have a conversation about WHY you want to see them. Cyberbullying is a very real thing in the world today. We define cyberbullying as: “Cyberbullying is when someone repeatedly harasses, mistreats, or makes fun of another person online or while using cell phones or other electronic devices.” Approximately 34% of the students in our sample report experiencing cyberbullying in their lifetimes. Cyberbullying can lead to different stages of depression in teens. Studies conducted by ASU have shown that as much as 20% of teenagers (1 out of 5 teens) will experience depression — this can directly impact their academic performance. Teenaged depression can significantly impair a student’s ability to learn and connect with peers during a crucial period for academic achievement and social growth. If your high schooler isn’t a victim, they may be an offender. 15% of teenagers admit to cyberbullying and this comes with its own consequences. There are a variety of different consequences of cyberbullying for the bully, including being suspended from school and being removed from sports teams and school organizations. Depending upon the acts and motives of the bully, there are legal consequences of cyberbullying and charges that may be filed against him or her. While plagiarizing a paper can cause you to fail a class or be expelled from school, the world outside colleges can be even harsher, resulting in lost jobs, missed opportunities and even a criminal record. With the internet, plagiarism is just a click away for your student… and they may not even realize they’re doing it! Most high schools and colleges today have strict policies about plagiarism. As Kori states above, consequences can be as severe as suspension or expulsion. 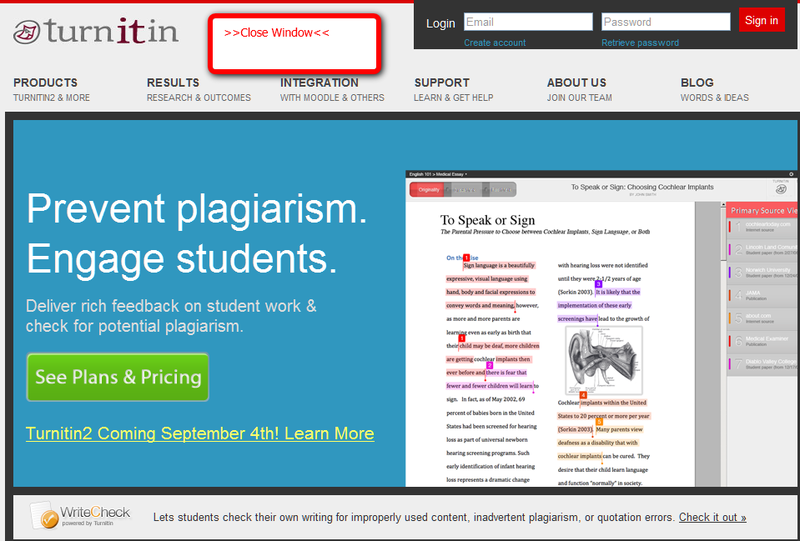 Many schools require students to submit their papers to “plagiarism-checkers” like Turnitin. If your student is guilty of accidental OR purposeful plagiarism, they’re likely to be caught. When/how should your student cite their sources? The University Libraries at Albany University has a great article on when and how to cite your sources. Online tutoring is on the rise in today’s world, and is quickly becoming the better option for many students. …beyond technical skills, by far a learner’s general abilities and qualities such as motivation, attitude, confidence, and independence are most highly correlated with success in online courses. If your student is struggling in classes or showing other signs that they may need tutoring, OR they’re simply aiming to get accepted into an elite university, tutoring is one way to reinforce their subject proficiency and motivate them toward their goals. Schools are still experimenting with different forms of education technologies. There are many ways that teachers can choose to integrate technology in the high school classroom. Talk to your student’s high school to find out more about what they are using and how it works. So there you have it. Technology in the high school classroom is not the same for your student as it may have been for you and I, but you can still help them use it to their advantage! Have you or your student experienced any new forms of education technology, and what did you think? Let us know in the comments below!